There’s no better time of buying a smartphone than a few months following the official release and that’s exactly the current status of the LG V20, the first phone to come preinstalled with Android 7.0 Nougat out of the box. The LG V20 was announced in September 2016 and started shipping towards the end of the same month, weeks before the Google Pixel and Pixel XL came to life. The LG V series is actually the company’s flagship model, with the G series now taking the back seat. We’ve seen the LG G6 come to life powered by a 2016 flagship processor, a suggestion that the LG V20 successor will be the one to ship with this year’s flagship SoC, the Snapdragon 835. In the LG V20, you have a phone that has all the bells and whistles of a premium handset. Just so as you know, the same specs that are found on the V20 are also found on the Galaxy S7/S7 Edge, HTC 10, Sony Xperia XZ, Moto Z and a bunch of other flagship phones from 2016. But as usual, each model has a few things that set it apart from the rest. For the V20, you get a 5.7-inch LCD screen with a QHD resolution, but what makes this phone unique is that it ships with a secondary screen on top of the main display – a screen that acts as the Always On Display on the likes of LG G5 and Samsung Galaxy S7 or Galaxy S8. Here, you’ll see the notifications, time and date when the main display is turned off. Under the hood, the LG V20 has a Snapdragon 820 SoC paired with 4GB RAM. There are two storage options of 32GB and 64GB with room for microSD card storage. Keeping the V20 alive is a decent 3200mAh battery unit that is removable and supports fast charging via a USB-C port. The back of the phone has a dual 16MP+8MP camera with laser autofocus, OIS, LED flash and 4k video recording as well as a fingerprint scanner. The front gets a 5MP shooter with an f/1.9 aperture. Now, on a normal day, you’ll have to part with more than $600 to get your hands on the LG V20. 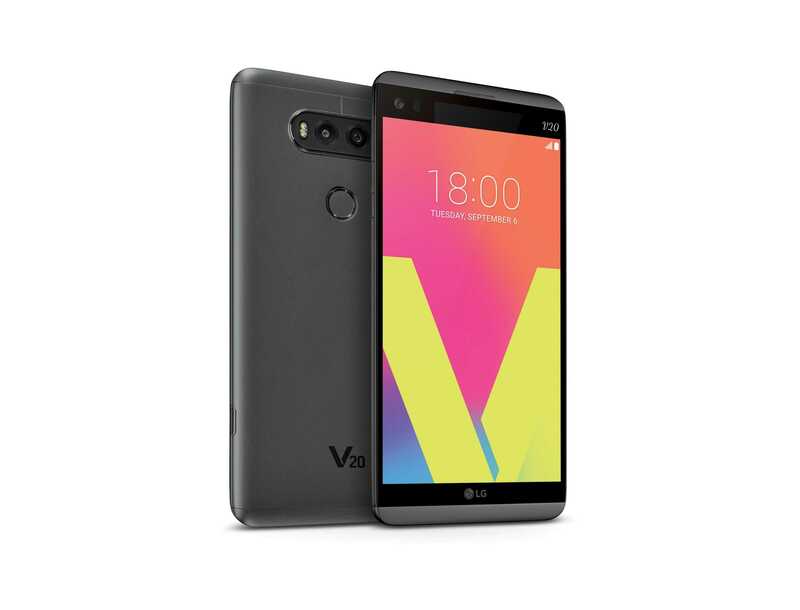 But a seller on eBay by the name Guarantee Cellular and with a positive feedback of 97.2% has listed a refurbished V20 (64GB) for just $289.99. The phone is unlocked and as such, it will work with any carrier. To sweeten the deal, the seller has even guaranteed a 30-day money back, but it’s you who takes care of the return shipping fee. Note that this is not a new LG V20, but the seller says it’s in perfect working condition. Hit the source link below to grab one for yourself right now. Previous Previous post: Google Pixel XL vs. Samsung Galaxy S8+ – Is there a Winner?